It’s summer in America, which means beautiful weather, vacations, and zucchini… lots and lots of zucchini! Gardens everywhere are teeming with this versatile veggie. 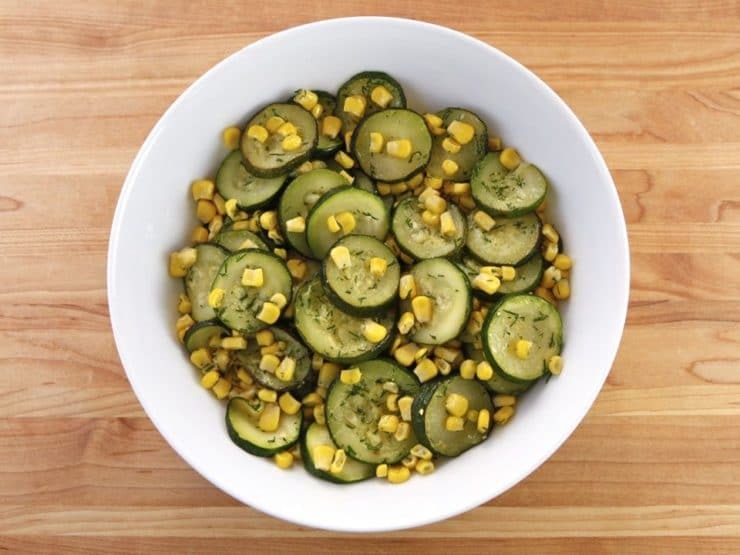 Beloved for its mild flavor and great texture, zucchini is affordable, healthy, low in carbs and high in fiber. It’s a good source of vitamins C and B6. And if that wasn’t enough, it’s just plain tasty! 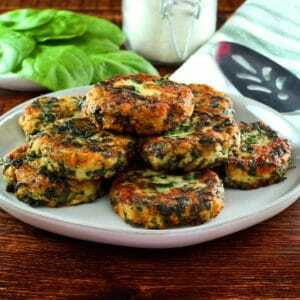 Zucchini (also known as courgette) is a modern variety of summer squash. Like all squash, zucchini has ancestry in North America. Squash was one of the three native crops planted by Native Americans, known as the “Three Sisters”– maize, beans, and squash. After the New World was colonized, squash found its way to Europe. Zucchini as we know it today was developed in Italy in the late 1800’s. It was introduced back to America by Italian immigrants in the early 1920’s, and has been a favorite in this country ever since. I’m always looking for new ways to use zucchini in my cooking. 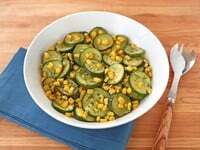 I came up with this simple side dish yesterday, and it was a big hit with our family. 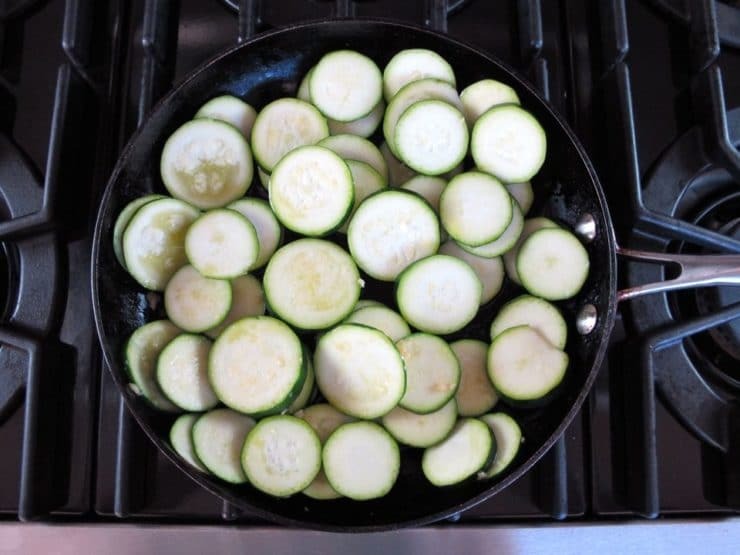 The slow sauté in olive oil and garlic gives the lightly salted zucchini an almost buttery quality, even though it’s a completely dairy free dish. The corn adds sweetness and crunch to the mix, and the fresh dill brings it all together in perfect harmony. I could have eaten it for the main course, I enjoyed it so much. The best part? It only takes about 20 minutes from start to finish. Who wants to slave for hours over a hot stove during the summer? 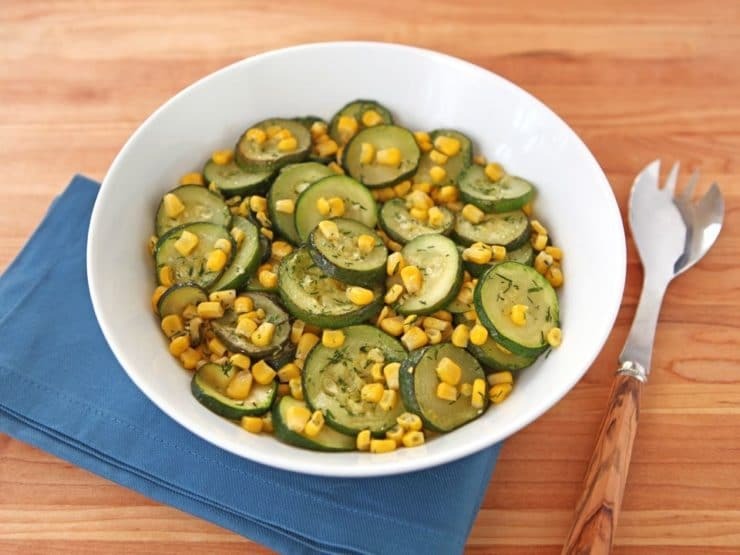 This quick and easy, summery, from-scratch side dish is a great way to take advantage of all that gorgeous summer zucchini. Enjoy! 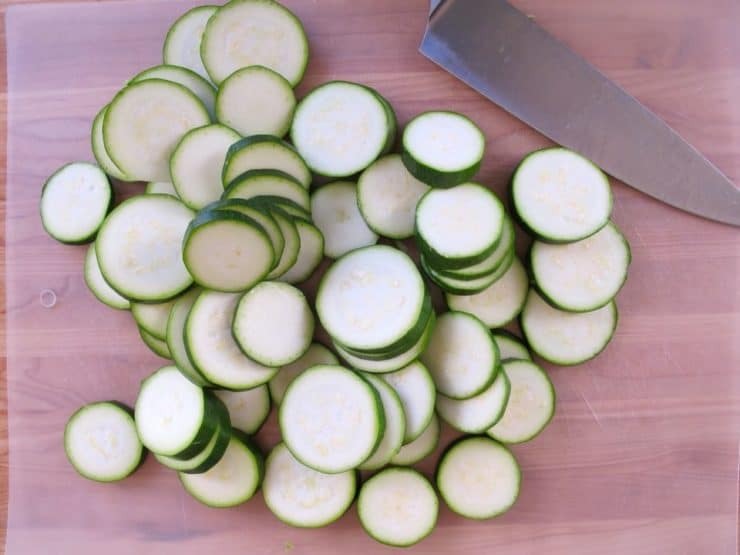 Cut the ends off of the zucchini and slice them into thin rounds. Heat the olive oil in a large skillet over medium. 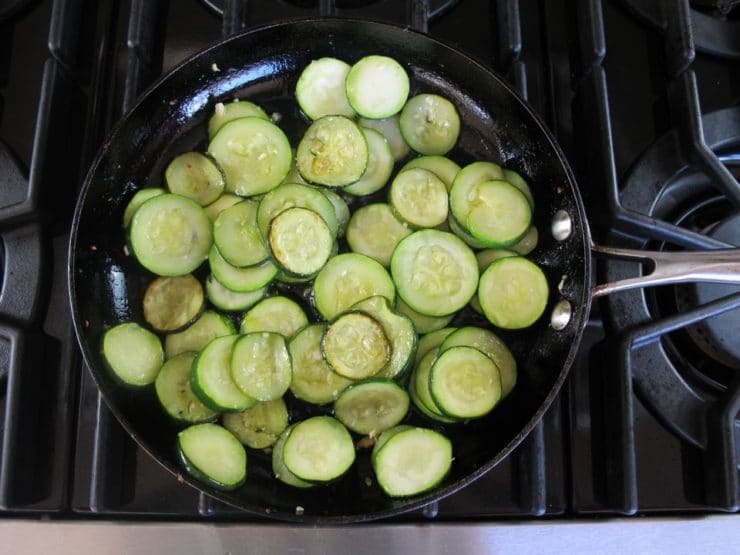 Place the zucchini slices into the oil-- if the oil is at the right temperature, it should sizzle lightly. Sprinkle the zucchini lightly with salt. Add the minced garlic to the skillet. Use a spatula to toss the zucchini and garlic to coat them lightly with olive oil. Reduce heat to medium low. You'll want to keep the zucchini at a low, even sizzle for the next 15 minutes or so. If the oil is too hot, the garlic will burn and give you a bitter taste. Sauté the zucchini slowly in the oil, stirring frequently and adjusting the heat as needed, till the zucchini softens and begins to caramelize around the edges. 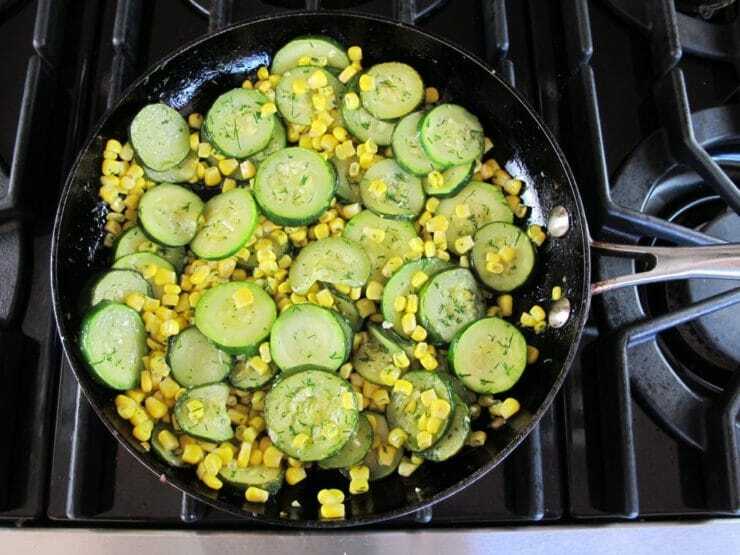 When the zucchini is almost tender, add the corn and fresh dill to the skillet. Continue stirring over medium heat for 2-3 minutes longer till the corn is heated through. Season with additional salt to taste, if desired. Serve warm. This one is so yummy! Thank you for the recipe – perfect for busy bees:) Can’t wait to try your other recipes! 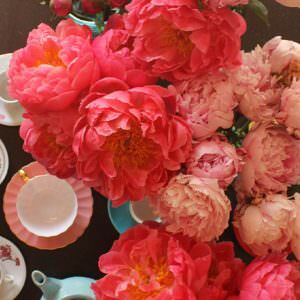 I just found you and I love your recipes. I can not wait to try them. 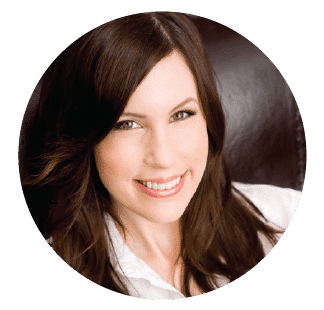 My only problem is when I print them – your logo drops to the middle of the page before printing…so everything ends up a page longer than need be. for example: the zucchini & corn = 2 pages / could fit on one; the Black Bean Burrito = 3 pages and should fit on two. I am using your print version…please advise and thank you for the great recipes. Hi Suzann, thank you for letting me know. Can you please tell me what browser you are using, and if you’re on a Mac or PC? That will help my web team to diagnose the problem. I make this, however, I start with onions and bell peppers, saute a bit, then proceed as you described. For an Italian theme, I leave out the corn. Yum! My Mom makes something like this from time to time. It’s always very tasty. Good timing, just got a big zucchini from my CSA and my only thought was to send it to my mom to make brownies! The link to the recipe box is not working for this recipe. best regards. Hi Jonathan, thanks for letting me know. I’ll contact Ziplist right away!